PetArmor, a popular and trusted brand of pet products, is now offering discounts and coupons on their new Special Offers page. PetArmor protects your pet from fleas, ticks and lice for up to 30 days. PetArmor uses the same active ingredient as the popular FRONTLINE brand of products, fipronil, which is the top recommended flea and tick product by veterinarians. PetArmor is also a great choice since it is less expensive than FRONTLINE, with the same active ingredient. By using the coupon offers below, you can get even bigger discounts compared to the price of the famous brands. PetArmor offers flea and tick products for both dogs and cats as well as other products including shampoos, skin sprays, ear care, mite sprays, allergy care and joint care products and medications. Since fleas and ticks can help transmit a number of dangerous illnesses and diseases, preventing the infestation of fleas and ticks on your pets should be a priority. Since PetArmor can help with prevention as well as when infestation has already happened, PetArmor is a great choice for killing these harmful pests. For dogs who are particularly prone to fleas or live in areas where fleas and ticks are a big issue, PetArmor came up with PetArmorPro, which contains an additional ingredient, called permethrin. This is the second most recommended ingredient recommended by veterinarians to rid your dog of fleas and ticks. 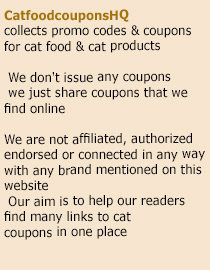 Coupons can be downloaded from this URL.